A couple hundred defiant protesters remained in Ferguson after a midnight curfew took effect in a St. Louis suburb following nights of protests after 18-year-old Michael Brown was shot and killed by a white police officer while walking down the street. Missouri Gov. 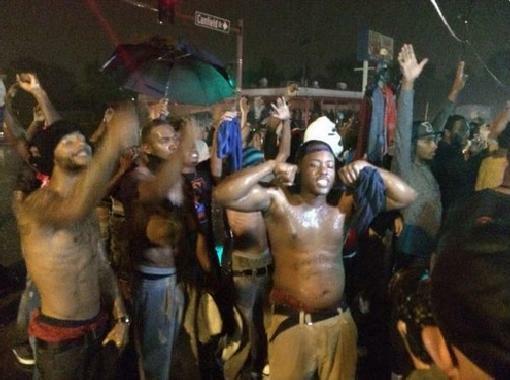 Jay Nixon declared a state of emergency and imposed a curfew in Ferguson, Mo., Saturday. Crowds dwindled significantly leading up to the curfew, which will remain in effect until 5 a.m. But remaining protesters — chanting “No justice! 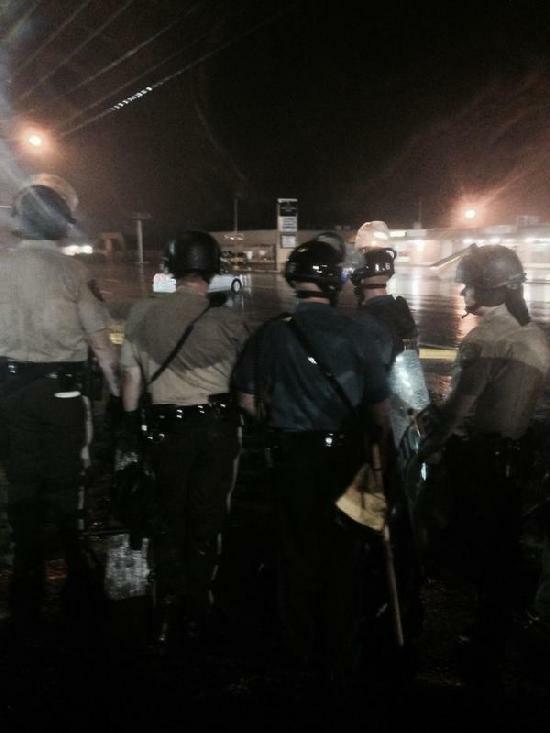 No curfew!” — refused to leave the area. Some stood with their hands up, the emblematic pose used by many protesters to characterize the position witness have said Brown had assumed when he was fatally shot. For MORE of this story go to USA Today. Shirtless Bodybuilder’s pose? Seriously? Somebody should have sent him a rubber bullet right in that big, bloated belly. Sweaty, pants saggin’, draws showing show boatin’ negroes. That’s what we need alright.